We are NSW's cancer control agency, established under the Cancer Institute NSW (2003) Act to lessen the impact of cancer across the State. The Cancer Institute NSW is a pillar organisation of NSW Health, providing the strategic direction for cancer control in NSW. 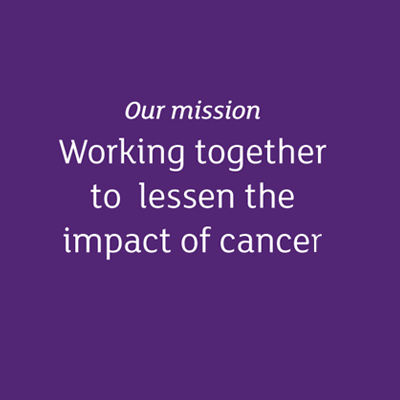 We collect and use the latest cancer data, information and evidence to drive improvements in cancer outcomes. We are the largest funder of cancer research in the state, with a focus on the translation of research findings into clinical practice. provide a source of expertise on cancer control for the government, health service providers, medical researchers and the general community. Find out how we're tracking against the NSW Cancer Plan via our Performance Index. Read the Cancer Institute (NSW) Act, legislation passed by the NSW Government to create the Cancer Institute NSW on June 24 2003. The Performance Agreement recognises that the Cancer Institute NSW has a clearly defined role and set of functions as articulated in the Cancer Institute (NSW) Act 2003. Read the Corporate Governance Attestation Statement, which sets out the main corporate governance practices in operation at the Cancer Institute NSW for the 2016/2017 financial year. Collaboration is at the core of all that we do and achieve at the Cancer Institute NSW. We work with a broad range of stakeholders to deliver initiatives and programs that reduce the impact of cancer on our community. Discover the job opportunities currently available at the Cancer Institute NSW and what it's like to work here. Information for journalists and other members of the media seeking cancer-related information. Conferences and events related to cancer and health in NSW, Australia and internationally. We are led by the Chief Cancer Officer and Chief Executive Officer, Professor David Currow, who is responsible for the day-to-day running of the Cancer Institute NSW. Established in 2003, we are Australia's first statewide cancer control agency. Subscribe to get the latest news and updates from the Cancer Institute NSW straight to your inbox. Our sponsorship program provides support for activities aligned with the objectives of the Institute. It is an open, competitive application process. Find details for contacting the Cancer Institute NSW. We welcome your feedback and any questions, concerns, or comments about our programs, services or employees. A summary of the Cancer Institute NSW websites and the services they provide.